Earbuds are notoriously fickle creatures. They get tangled way too easily, and when they get tangled too much, the internal wiring can suffer. Sure, you can keep winding them back up in the case they came in, but that’s not so handy if you’re on-the-go a lot. You can also invest in something like this, but but I’m not a fan of buying something you can do yourself for free. Also, I’ve tried those solutions — they don’t save you any time, and you still have to wrap your earbuds tightly, which can damage them. My quick and easy and cheap fix? 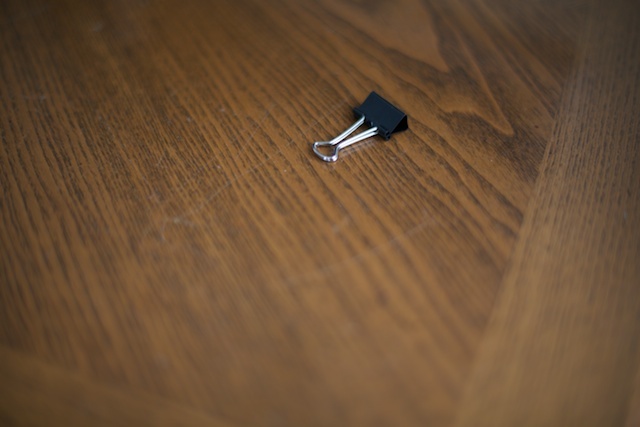 Just use a small binder clip. 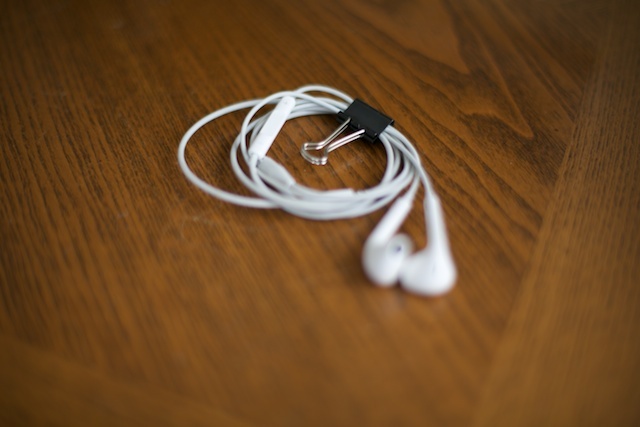 Lightly loop the earbuds around your hand, secure them with a binder clip and that’s it. No tangling. Easy-peasy.